Christmas is around the corner! And many travelers are now scouring the internet to search for the ultimate travel destination to spend their holidays. Of course, London, New York, and Vienna are the first destinations that come to people’s mind when planning Christmas holidays. 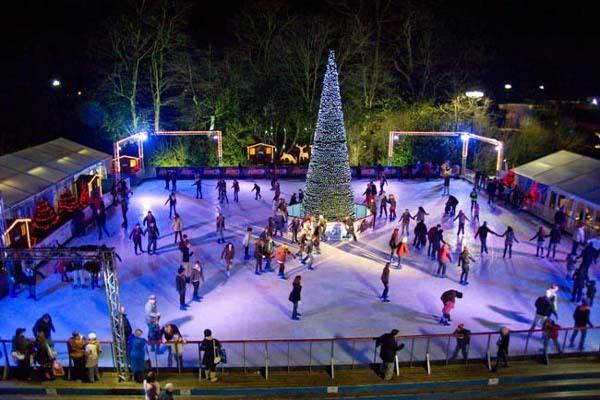 And why not, after all, these destinations exude a Yuletide feel with their ice skating rinks, lavish parties, and wintry touches. But have you ever considered Asia for your Christmas vacation? I’m sure most of you would answer no! Asia is the perfect spend to spend a relaxed Christmas holiday. The charm of Asia lies in its diversity. Each of the countries in Asia celebrates Christmas in its own unique way. And how can we forget the food? You won’t be served conventional Christmas food that you get in European and South American country, which we think is a much-welcomed break. If you are planning to spend the Christmas away from home, then you might want to look at these ten suggestions. 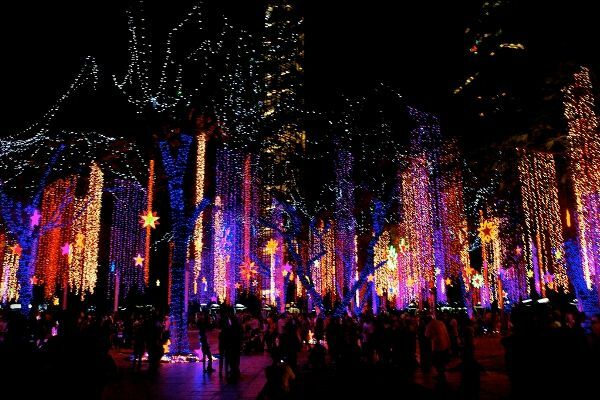 Philippines is the best the Asian country to spend your Christmas holidays. Whether you are spending the vacation on the tropical Boracay Island or its dynamic capital, Christmas in Philippines will give you an experience that you will cherish forever. Filipinos celebrate Christmas earlier than any other country, as soon as September and continues until January. The malls of the country play the Christmas carols and embellish their displays with adorable lanterns and psychedelic decorations. The families gathers here to enjoy the midnight Mass, parties and of course, Christmas feasts. As for the food, the culinary offerings from Philippines will surely delight you. From puto bumbong to lechon, Philippines has a deluge of mouthful goodies to offer to its tourists. Thailand is a travel staple for most of the Asians. 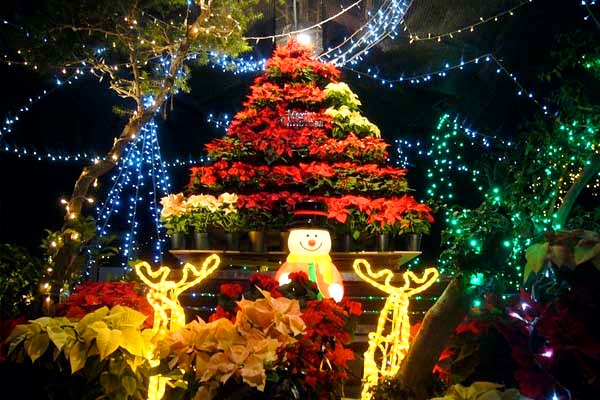 But the place shines more during Christmas and attracts tourist from all over the world. Christmas is not an official holiday here. But most of the expats take an off here or are granted an off by their Thai employers. The shopping malls are lit up like casinos here. And the offices put up Christmas trees. Even the convenience stores are decked up with twinkling lights. Another great thing is that Phuket shines during all time of the year. Note- if you are traveling in a group, we would suggest you to hire a villa instead of booking guest rooms. You will get luxurious rooms, kitchen, private pool and even a chef at the price of a luxury hotel room. But keep in mind that the prices increase drastically during the Christmas. So be prepared for a pocket pinch. 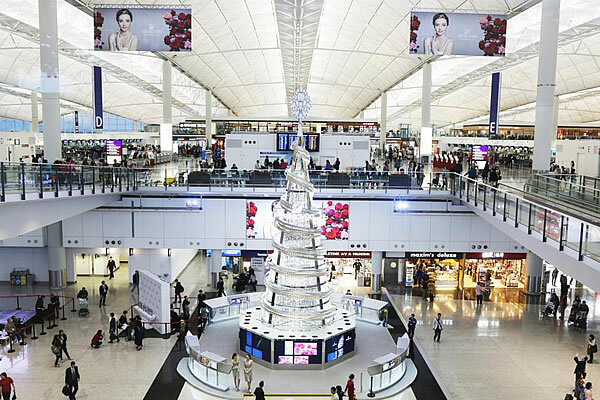 Hong Kong is one of the ten places to spend Christmas in the world. Don’t believe us? Well, you have to be there to believe it. Christmas is a public holiday in Hong Kong. It also coincides with Ta Chiu, the Taoist festival of renewal and peace. The participants call on their all the spirits and deities so that their collective power renews their lives. 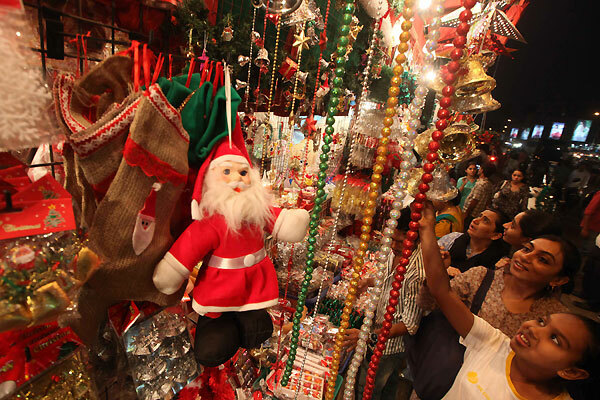 Christmas trees are decked up in all the public buildings and major malls. In fact, almost all the buildings facing the Victoria Harbor are decked up in the Christmas lights. And it looks marvelous. Furthermore, you also get to shop for excellent clothes and high-quality items at bargained prices. For sumptuous delight, visit the Ice Palace Restaurant and Ice Bar in the Shangri-La Hotel. You can enjoy world-class Chinese delicacies and alcohol here. India is predominantly a Hindu, Muslim, Sikh and Christian country. But Christmas is a festival that people of all religion celebrate with much fervor. The Christian families flock to the churches for mass and feast on delicious foods. 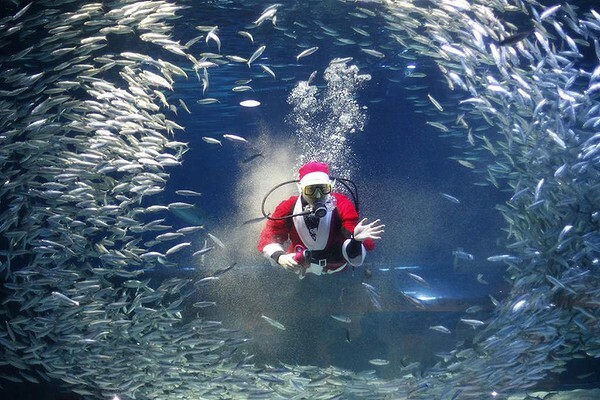 The best place to experience Christmas is Goa. Beside Goa, Manali, Auli, Gulmarg and Shimla are great places to experience Christmas holidays. The snow clad mountains of the region will mesmerize you. And the churches of Shimla are beautifully decorated during Christmas. We would advise you to book the hotels in advance to avoid heavy room tariffs. 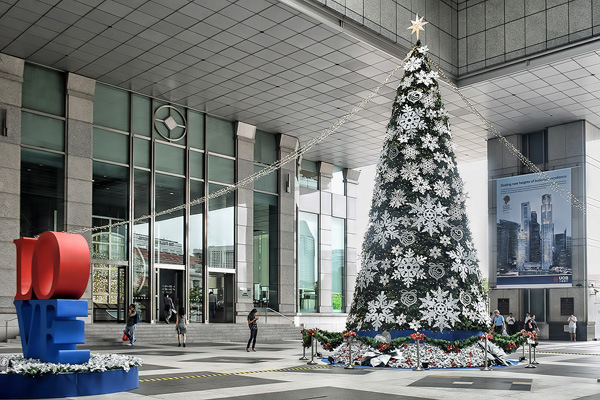 Christmas in Singapore is a secular festival and is celebrated with full on entertainment, shopping and meeting the Santa Claus. 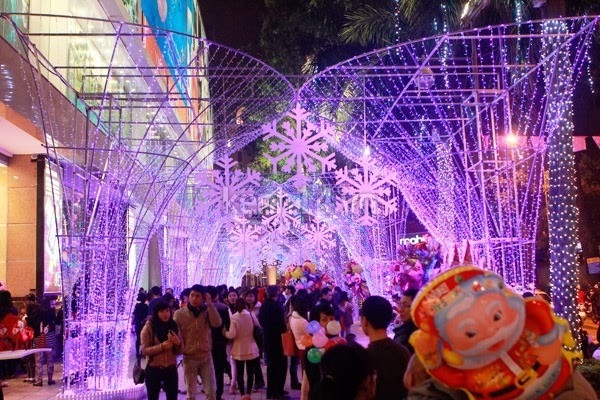 The “Lion City” treats Christmas as an all-singing and all-dancing festival. From art exhibitions to shopping to parties to rock concerts, Singapore has a lot of Jovial festivities and amusement in store for its tourists. The streets of the city are magically transformed into an eye-catching candy land sprinkled with gumdrops, jelly beans and candy canes. The shopping districts of the Marina Bay and Orchard Road explode in the shower of light. The malls and shopping centers are open for extended hours and offer special deals to attract the tourists. Christmas is a special holiday for Japanese. The Japanese people believe that the first sunrise of New Year brings supernatural powers. Influenced by Americans, the Japanese hold several Christmas and New Year Eve parties. In Tokyo, Christmas is more of a commercial season. The corporations and offices deck up their offices in the brightest of lights. December is also the time for oseibo, a tradition in which gifts are exchanged between companies. It is the time for romance between the couples. Are you looking for a winter holiday in Asia? Then head to Nagano, the best base for skiing and other winter sports. Other excellent skiing resorts of Japan are Kutchan and Niseko. 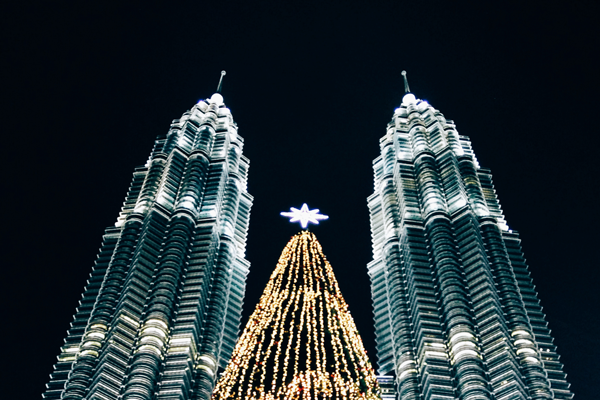 Malaysia has a unique way of celebrating Christmas. The Christmas trees are put up by people weeks before Christmas. 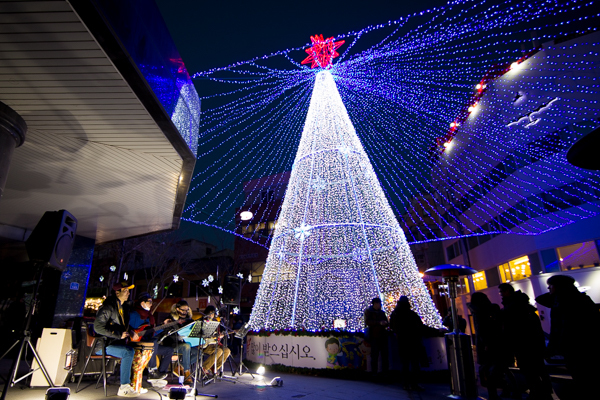 The shopping malls are decorated beautifully to celebrate the arrival of Christmas. The setup is quite high with the gigantic Christmas trees decked with baubles, angels, and candy canes. The lush decoration stays put until the New Year. The tradition of singing carols begins from the middle of December. The Carolers go from house to house weeks before Christmas. Not just the carol singer, even Santa Claus visits the children on the Christmas Eve to give candies and sweets. The beaches are stunning, the cuisine is scrumptious and sites are amazing. Besides, you will also get a huge range of accommodation choices. Despite the majority comprising of Buddhists, Christmas is celebrated with much enthusiasm in Cambodia. From the start of December, the Cambodians start decorating. You will see the Christmas trees almost everywhere, book, supermarkets, malls and coffee shops. Do not miss the authentic Cambodian cuisine. Last, but not the least, its Vietnam. 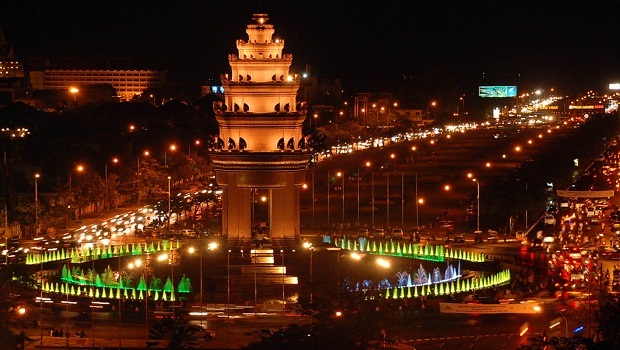 Vietnam considers Christmas as its most joyous and wonderful festival. The wonderful churches, the beautifully decorated streets and the prayers and carols during the Christmas Eve make it a favorite destination for travelers. If you want to check out the beaches, then head to Ho Chi Minh. People celebrate by taking pictures, throwing confetti and watching the nativity play. And Christians visit the Catholic Cathedral for the Mass. Christmas and New Year is one of the peak seasons of Asia. So book your ticket and hotel room at the earliest. July to August should be the latest. Get hold of a sincere travel agent to help you book a trip during a busy period. Till then happy traveling.